The Planning Notepad by John Krissilas: Will Apps Forever Transform Advertising as We Know it? Will Apps Forever Transform Advertising as We Know it? You've heard these terms before. "Web 1.0," or the Internet in its original form, a series of hyperlinked, informative web pages. "Web 2.0," or Social Media, the emergence of social networking sites, consumer reviews, consumer generated content, and digital collaboration. 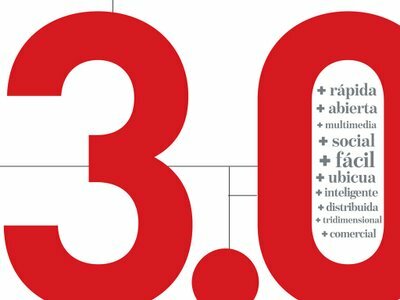 But what about "Web 3.0"? The latest cover story in Wired Magazine, titled "The Web is Dead," outlines how the Internet has vastly changed since its emergence as Web 1.0. To read the piece, click here. The Internet, the article posits, is maturing, both in terms of its content, how that content is delivered to consumers, and how consumers are consuming it. As the argument goes, the proliferation and growing adoption of always-connected smartphones has meant that more and more, consumers are choosing to access the web via a mobile device. And because their smaller screens aren't optimized for viewing and browsing the Internet like we usually do on a desktop, apps have become the dominant way of getting the content we're looking for. Think about it - when is the last time you went to a sports website to check the scores, a movie website to check the show times, or even a newspaper website to check the latest headlines? You don't. You use apps. In 2010, 75% of the traffic on the web was generated by the top 10 sites. Incredible. That means that 75% of all of our time on the web is spent on a few core sites. And you know which ones they are. Facebook. Google. YouTube. So much time is spent on this sites that they have literally become the lens through which we view and access the web. Better yet: they ARE the web. But guess what: they've grown so big that they aren't websites at all. They're apps. Let's take this idea a step further. Apps are all around us. They're on our cable boxes (OnDemand Television), on our video game systems (the X-Box Live, Wii, and PS3 networks), even on some of the latest and greatest TVs (Yahoo! Widgets). One could even argue that the increasing fragmentation of TV into an enormous number of hyper-specialized channels (Food Network, Court TV, Leafs TV) actually represents the emergence of apps. The fact is, there are just too many channels, too much information, too much content out there for us to sift through, or "browse" through, like how we used to in the past. Couch surfing is dead. Web browsing is dead. Apps are in. Anything you need, "there's an app for that." Apps are organizers, tools, and deliverers of what we need when we need it. Want to watch a certain TV show right now? Done. Want to call up a coupon for an item you're about to buy? Done. And soon, their development won't just be limited to specialists. Remember when making your own websites and blogs were all the rage? In a few years, we'll all be making our own apps, if Google has anything to say about it. Check out this article from Marketing Magazine. The bottom line: apps have forever transformed the web (and the world) as we know it. So what does this all mean to us, as advertisers? (1) The content consumers are looking for has changed. They are looking for content that is simple, relevant, and useful beyond anything else. (2) The way that content is delivered has changed. Consumers are looking to apps to organize, deliver, and activate content. (3) The way that content is consumed has changed. Consumers are looking to consume content when they want, where they want, and at the time when it is most useful to them. This means that apps - whether through your smartphone, desktop, TV screen, or iPad - will become the dominant form of media consumption. This raises a major question: if apps are the dominant form of media consumption, how does that affect advertising? When families gathered around the TV cabinet to watch hours upon hours of television, advertising came to them via videos that took into account the dominant form of consumption. With families now separated in the different rooms of a house, each consuming media on their own through an app, how will advertising respond, and become contextually-relevant again? You guessed it: through apps. Imagine a creative brief where the deliverable is not a TV script, or even a media-neutral "big idea," but an app. An creative, engaging, and most importantly, utilitarian app that builds brand awareness, familiarity, affinity, and engagement at the same time. Cool post and an interesting look at what advertisers might have to do to stay relevant. The beauty of ads through an app is that they can collect data about the specific user which they can use to make their ads more targeted, and hopefully more effective. Agree completely. The beauty of apps is that they can tap into a lot of the data that's on your smartphone (ie. location) and offer you content or deals accordingly. Apps can even activate consumers through smartphone-based contests and activities. And I think that the more useful, entertaining, and relevant a brands app is, the less it will even be seen as advertising. It will simply be content.